Save BIG every day on our Painted Sea Collection! (Regular Retail: $15.23)! 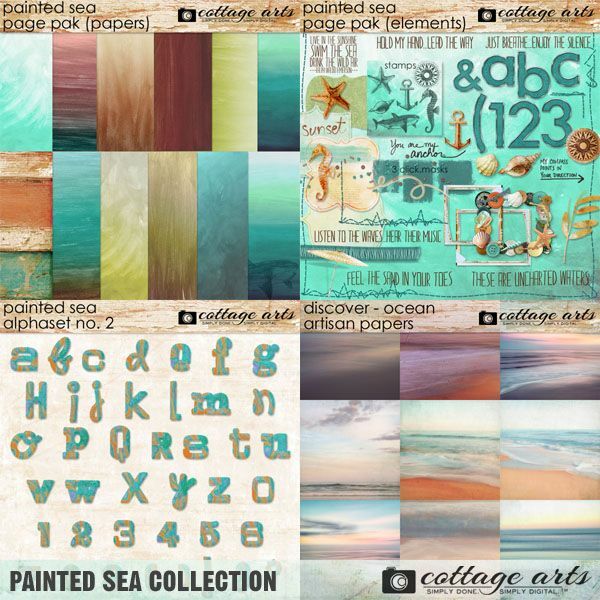 Contains Painted Sea Page Pak, Painted Sea AlphaSet 2, and Discover – Ocean Artisan Papers. 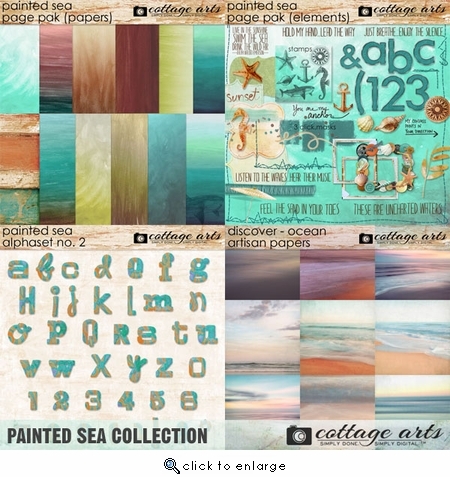 Painted Sea Page Pak features our hand-sketched sea elements, painted papers and Click.Masks. This vacation loving kit will keep you reminiscing about wonderful memories time and time again. 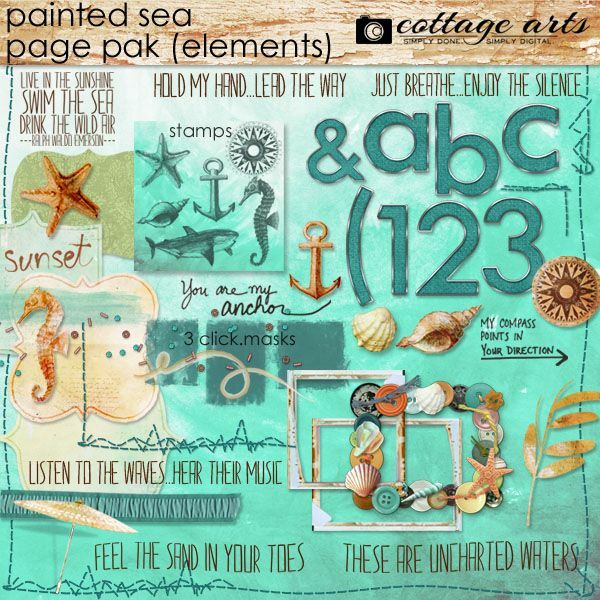 Kit consists of 13-12x12 painted graduated papers in pretty sea hues, full aqua fabric/metal AlphaSet (letters, numbers, characters), and 40+ beautiful elements to celebrate the sea, beach, tropics, vacations, and more. Includes 9 sea-inspired titles and word art quotes, 2 photo transfer edge frames, 3 sea-inspired Click.Masks, shirred ribbon, hand-sketched whale, seahorse, sea shells, and anchor, compass, paint strokes, button/sea shell frame, stitching, 6 curvy mats, painted mixed media branch. 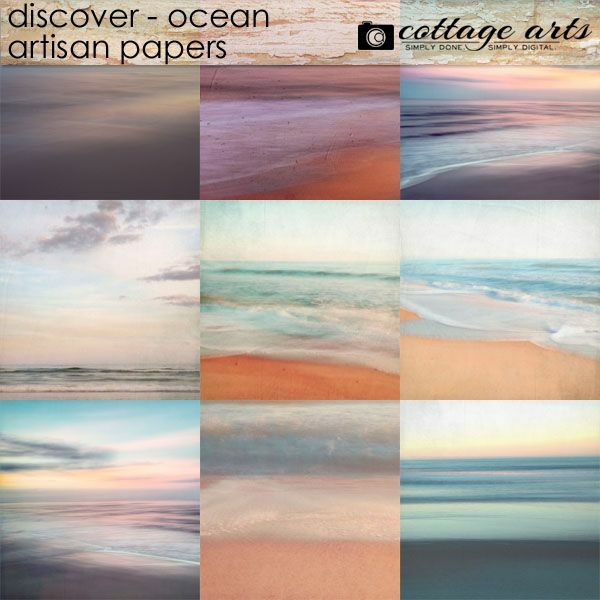 Discover - Ocean Artisan Papers showcase nature imagery incorporating digital and hand-painting techniques. 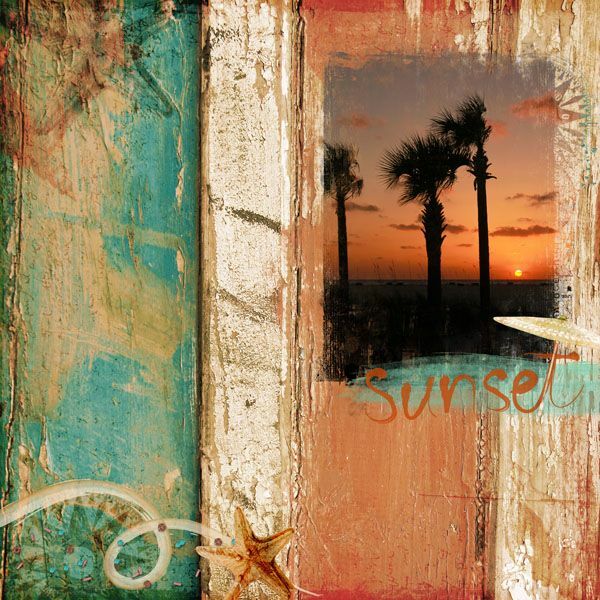 This set consists of 9 - 12x12 softly textured beach-side scenic landscapes, perfect for the very popular perspective pages or for your everyday moments scrapbooking /hybrid art. 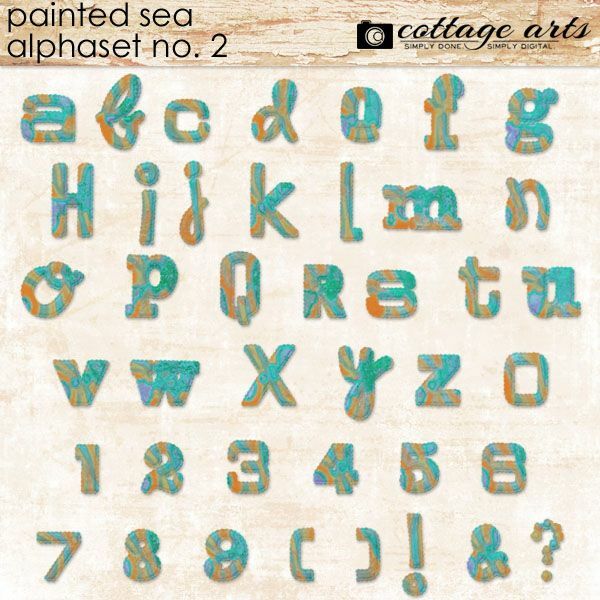 Painted Sea AlphaSet contains a full fabric textured, stitched AlphaSet (a-z 0-9 ? ! & ). Characters are 1 - 2 inches tall at 300 dpi.